Has your calendar already filled up with holiday plans? Well, start looking for more space, because Hendricks County plays host to some fantastic holiday events and festivals that you must make time for! 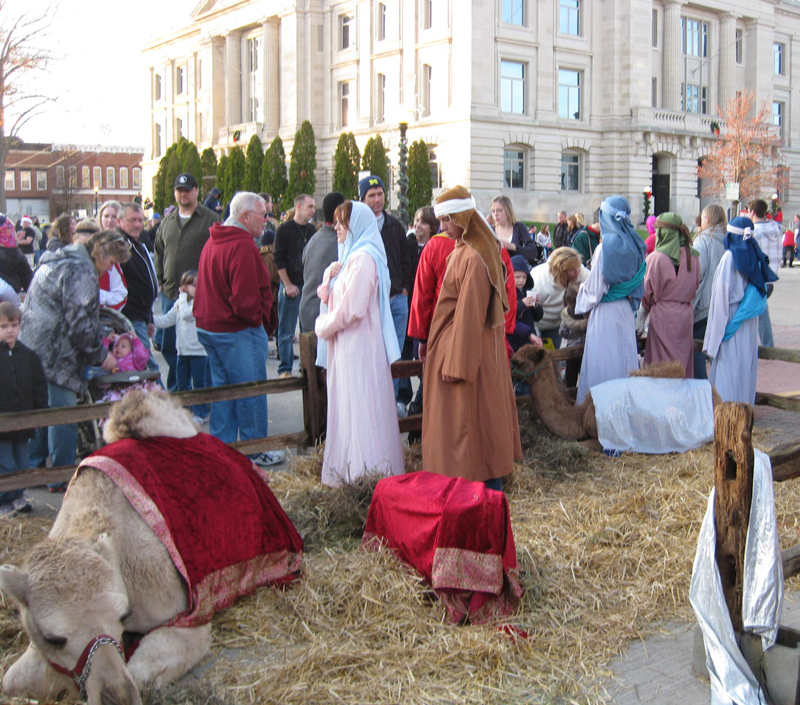 This list of the top 10 Hendricks County holiday events is just a starting point. Check our Events Calendar for more details and additional ideas. We’ll be blogging about many of these events individually in the coming weeks, too, so be sure to come back for the inside scoop! 1. Holiday Craft Show, Nov. 10 at the Hendricks County 4-H Fairgrounds in Danville: You know an event is a good one if it’s in its 22nd year. Get your holiday shopping off to a great start at this event. 2. Annual Holiday Craft Fair, Nov. 17 at Avon-Washington Township Community Park: Head to the Pavillion Center in the lower section of the park to find a great selection of vendors. You can shop for items like handcrafted gifts, holiday crafts and décor, and candles. And bring the kids and their wish lists, because Santa Claus will be making an appearance. 3. Christmas at the Orchard, Nov. 17 at Beasley’s Orchard in Danville: Feeling a little nostalgic for the simpler times of past decades? Head to Beasley’s Orchard for an old-fashioned Christmas celebration. Visit with Santa (talk about a guy with a busy schedule!) and find treats for your sweet—and savory—tooth. 4. 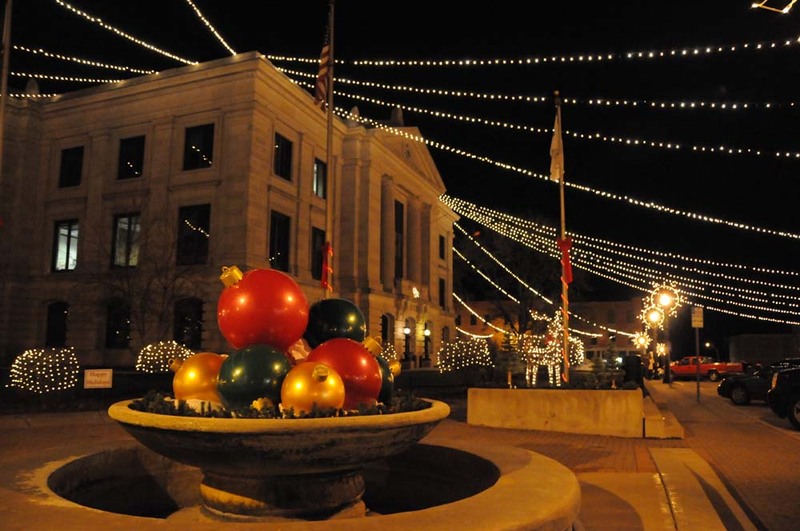 Christmas on the Square, Nov. 23 on the historic downtown Danville Courthouse Square: Cap off a great Black Friday with the lighting of the beautiful Danville Square. Santa will be at this free event to flip the switch and ignite the 10,000 lights in the overhead canopy. 5. Winterland Light Show, Nov. 23 through Dec. 24 at Ellis Park in Danville: See a beautiful holiday light show from the comfort (and warmth) of your car as you drive through this great display. You can catch the show between Thanksgiving and Christmas each evening beginning at 6 p.m. Bonus: Nov. 24 is Small Business Saturday, a day for shopping small and local. Need suggestions? Our shopping category features reviews of dozens of local, small businesses, and you’ll find many great businesses on the Rural Routes to Main Street Cultural Trail. 6. Christmas Under the Stars and Parade, Dec. 1 at Brownsburg Town Hall: An evening parade at 6 p.m. is the grand opening to this event, which concludes at the Town Hall with an animated light display. Santa will be visiting with kids, too. 7. Gingerbread Christmas, Dec. 1 at Plainfield High School: This year marks Tri Kappa’s 42nd annual Gingerbread Christmas. It’s the area’s largest and oldest gift and craft show. You’ll want to pace yourself (and come with an empty trunk), because more than 130 juried exhibitors will be tempting you with unique, handcrafted items. 8. Danville Tri Kappa Breakfast with Santa, Dec. 1 at Danville Community Middle School: Your kids may not be up for a bunch of shopping, but this event is just for them. The morning starts with breakfast and includes pictures with Santa, games and crafts. The best part: all kids go home with a special gift. 9. Rural Routes to Main Street Cultural Trail Holiday Open House, Dec. 6-8 at multiple locations countywide: The local businesses and artisans on this self-guided driving tour will host special workshops, demonstrations and sales in celebration of the holiday. This is a great time to do some holiday shopping and support local businesses at the same time. 10. North Salem Old Fashion Christmas, Dec. 7-8 in downtown North Salem: I grew up in North Salem, so I’m admittedly a little partial to it, but I’ll honestly tell you that North Salem looks like a beautiful postcard during the holidays. The town’s old-fashioned feel is celebrated with this holiday event. 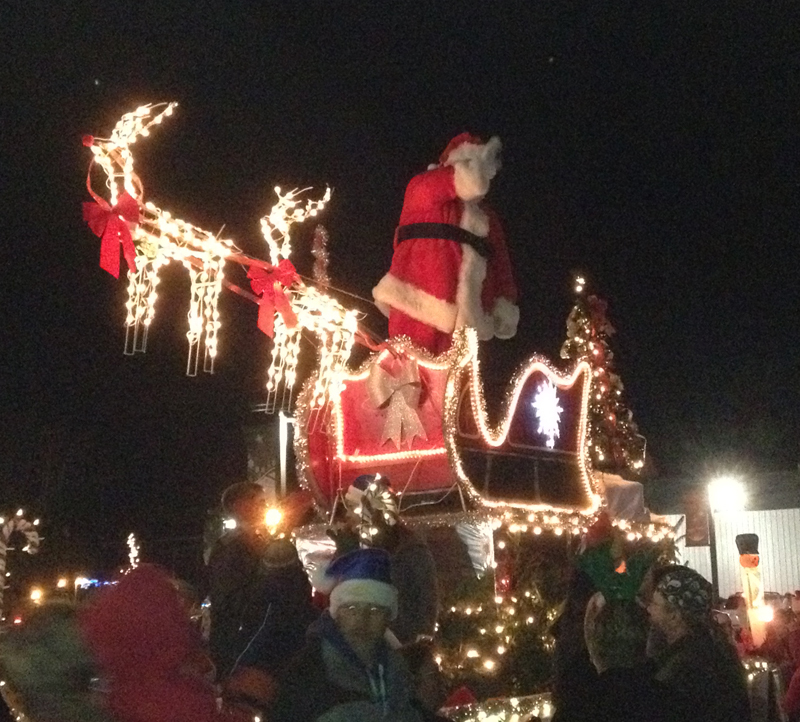 You can take a tractor ride with Santa, listen to carolers and enjoy the lighting of the Christmas tree. Hendricks County hosts countless great holiday events each year, so I’d love to hear from you: Which one is your favorite? What do you recommend?